I've been falling behind in my efforts to keep up with new additions to the scientific literature lately for a series of reasons. Mostly being distracted by more important and less interesting things. Which is probably going to continue right up until the end of April. Apologies. BUT, here is something cool that biologists do that I've never heard of before. They can use viruses as little tiny nano-scale test tubes to study protein-protein interactions. Specifically in this case, they are using the HIV virus. And you thought that virus was good for nothing! As I'm sure you're aware, human immunodeficiency virus type 1 (HIV-1) is the causative agent of AIDS. For this reason, it is absurdly well-studied with most of the steps in its replication cycle understood and a variety of drugs developed for its treatment. However, this virus is clever and does a number of sneaky things to keep us on our toes. For example, it has different possible mechanisms for entering the cell – so we develop a drug to close one door and it just opens another; also, frequent defects during replication means each individual viral particle can have its own unique properties. 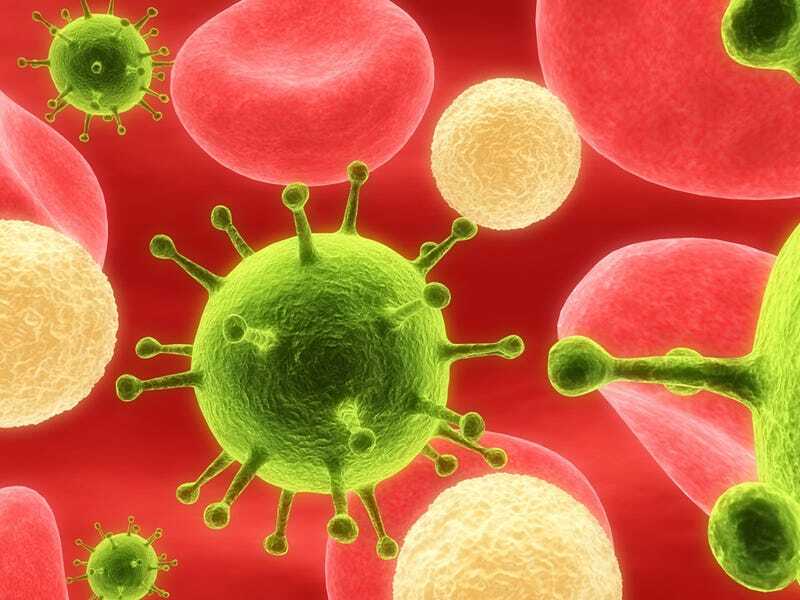 All of which is to say that when studying HIV-1, you need to use a technique that allows you to investigate what is happening in a single particle at a time, because they're each a little different. In particular, these researchers wanted to look at the protein-protein interactions involved in an individual virus particle during the infectious pathway. This idea is not even exclusive to the study of this virus, the strategy is good for looking at protein-protein interactions in general: it makes setting up high-throughput assays cheaper and easier since you can get rid of protein purification steps. And, you get a better idea of the protein behaviour in its native environment. And, by using such a tiny test environment, you can have a higher concentration of protein which means you can even look at very weakly interacting proteins. Anyway, what they did was engineer special HIV-1 particles that were still infectious, but also contained fluorescently labeled proteins. They were then able to use the fluorescent proteins to monitor directly for the first time the formation of short protein chains in the viral "test tubes". This method could be used to 'easily' (because easy is a VERY relative term) study all sorts of different in vivo protein interactions and could even be used to rapidly test and discard potential treatments for a variety of conditions. Viruses: not always entirely terrible. Read the orginal study, HIV Virions as Nanoscopic Test Tubes for Probing Oligomerization of the Integrase Enzyme, here.